1. Add dough ingredients to your bread machine in the order your manufacturer suggests. I add in the order listed above. 9. 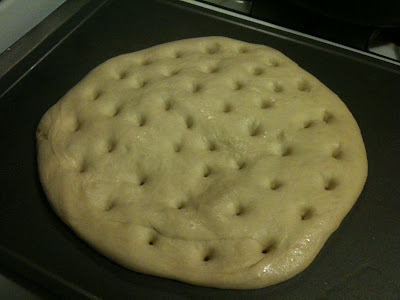 Back to dough: Once risen make indentations in the dough every inch or so. I use the back of my wooden spoon. You can use your finger if you'd like. 10. Cover dough with onion mixture. 11. 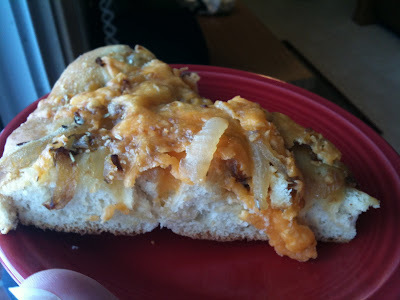 Sprinkle parmesan cheese on top of onions. 12. Cover everything with cheddar cheese. 13. Bake 20 minutes or until edges are brown. 14. Cut into wedges and serve. and we never noticed thiѕ іssuе. Panasonic is expected to bring a younger demographic into Kohl's and draw shoppers to more expensive items. VLOV We never buy OTCBB stocks and consider most to be of much interest to a collector. Avoid potential fashion mishaps with your holiday wardrobe by following these 7 simple tips.